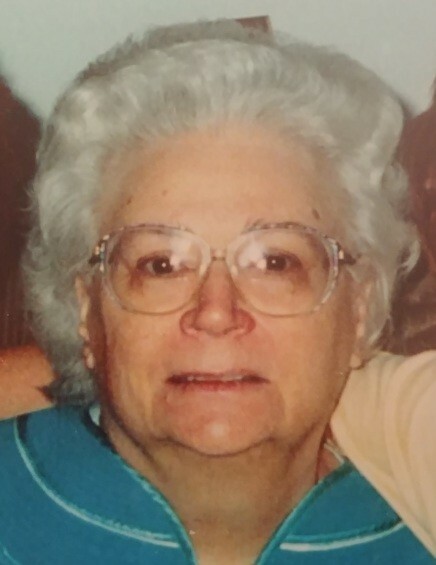 Jeanne Harrison Cribelar, 84, of Jacksonville, passed away Monday, February 4, 2019 at her home. Jeanne Cribelar was born on September 12, 1934, in Washington, DC, and was a long time resident of Jacksonville after arriving in this area in 1954. Funeral services will be 11 am Friday, February 8, 2019 in the chapel of Jones Funeral Home, Jacksonville, with Pastor Larry Haggard officiating. Burial will follow in Coastal Carolina State Veterans Cemetery. The family will receive friends one hour prior to the service on Friday at the funeral home from 10 am until 11 am. Jeanne Cribelar attended Central High and Anna Burdick Business Schools while living in DC and in later years, the family moved to Arlington, VA. While in high school, she attended USO Dances – Loved to Dance. Jeanne Joined a USO Troup that traveled to different Military Bases in and around the Washington, DC and Virginia areas, at the Marine Corps Base in Quantico, VA, where she later met her husband to be, Max Cribelar, who had recently returned from the War in Korea. Jeanne Cribelar was married on the 16th of February, 1952, to her late husband, Max Cribelar, and so started their long married life together. Jeanne got through the lonliness of her husband’s many tours of overseas duty, and in the meantime raising two growing daughters, Linda and Karen. Mrs. Cribelar was able to travel with her oldest child, Linda, at that time to the Territory of Hawaii, where her husband was assigned to duty. Jeanne and her husband were in Hawaii for over two years, their youngest daughter, Karen, was born there at Tripler Army Hospital on the big island of Oahu. They returned to the states in November of 1957, and her husband was assigned to the Marine Corps Air Facility at New River. Jeanne and her husband spent the remainder of her husband’s tour in the Camp Lejeune area, with another separation when her husband received orders transferring him to WesPac (South Vietnam), to the war in that area. Jeanne’s husband, Max, later retired from the Marine Corps in September, 1972. Jeanne and her husband continued their married life in the Jacksonville area and made friends during their long time in this area. Jeanne was preceded in death by her husband, Max Cribelar, on November 10, 2017. Jeanne is survived by her daughters, Linda Jeanne Leibnitz of the home, Karen Sue Baysden and husband David of Jacksonville; three grandchildren and six great-grandchildren. In addition to her parents and husband, she was predeceased by brothers,Robert H. Harrison, Jr., William R. Harrison; and a sister, Elizabeth J. Harrison Doerr. In lieu of flowers, the family suggests donations to be made to Carolina Animal Protection Society; www.capsrescue.com, in memory of Jeanne Cribelar.